Gentlemen of Chance is a slow communication experiment in social hacktivism and “spiritual bureaucracy”. 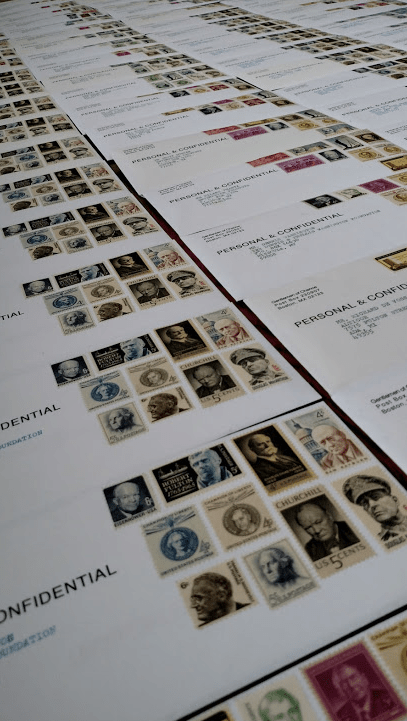 The art/action/communication consists of mailing 108 letters to prominent public figures from the Forbes 400. These are people who may influence fortunes or multitudes. Each letter contains a unique type-art impression designed for the recipient. The letter invites each person on a hero’s journey mindfulness practice to discover what action they are destined to take to help repair imbalance in the world as they see it. The letter requests that each recipient respond with their journey’s findings by filling in an enclosed “form” and mailing it back to the artist. All 3×3 mailed images are combined to create one 36×36 image to be printed in 12 artist proofs. Original 3×3 swatches are the “prints” to be framed and shared. 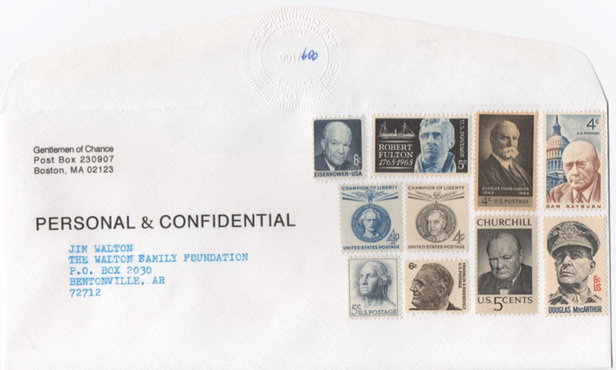 The Communication – “Gentlemen of Chance” message recipients each receive a hand typed, formal, business letter on vintage stationery with a surrealist array of stamps and graphics that differentiate the letter from the rest of the postal mail. Each “gentleman of chance” is invited on a hero’s journey meditation with a specific set of instructions. They are invited to use an enclosed type-art as a graphic key to their experience. The Gift – One-of-a-kind type art images for this action are created using only the period symbol from a 1965 Olivetti Underwood. 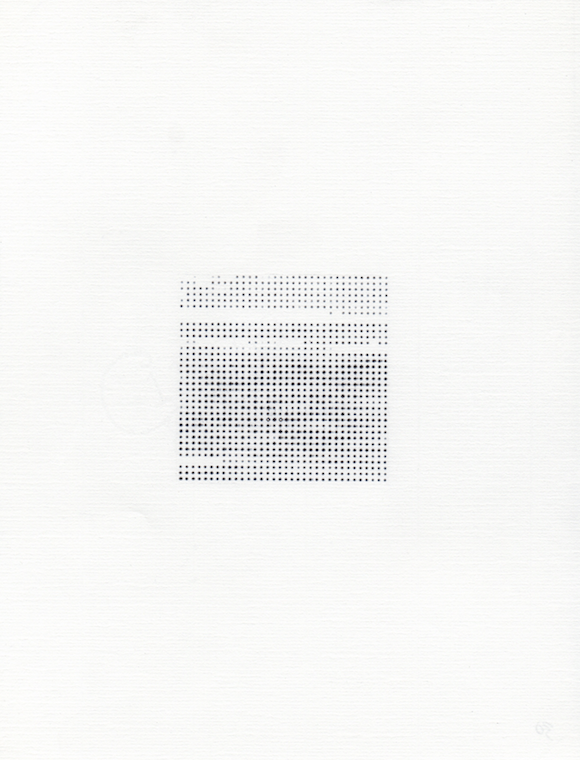 Art works are created in three-by-three-inch squares on vintage arctic white laid typing paper. 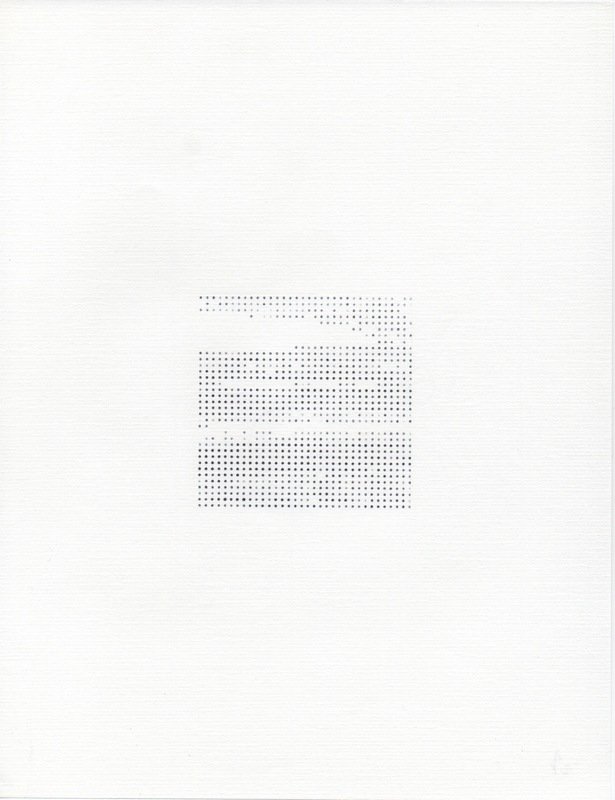 The images consist of marks of various pressures using only the period (full stop) key on the typewriter. Some marks are overtyped one or more times. Each piece is created in duplicate, using carbon paper. 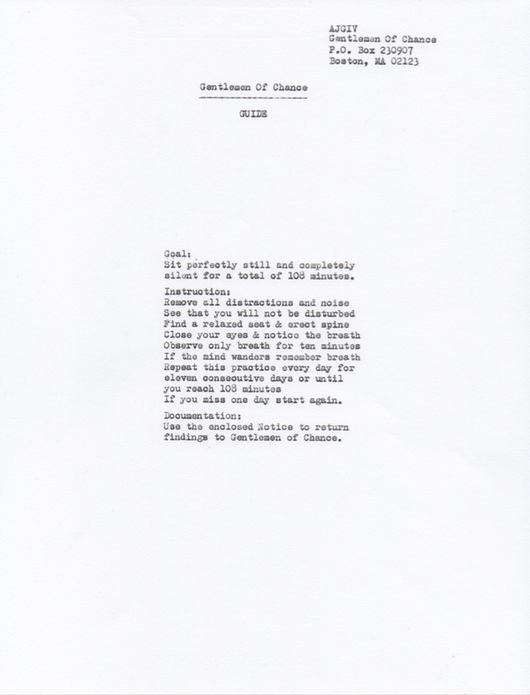 The copy is enclosed with each letter to be used as a key for the recipient’s journey. Each square is one section of a larger 36″ x 36″ work. Please see notes below on the representation and significance this format. The Reply – “Form 108” asks its recipient what impressions s/he experiences from their journey. It compels the recipient to participate in a bureaucratic response format to help them on their mindfulness pathway. “Form 108 – Notice” is included with a self addressed, postage paid “observation reply” envelope to facilitate return to the artist. 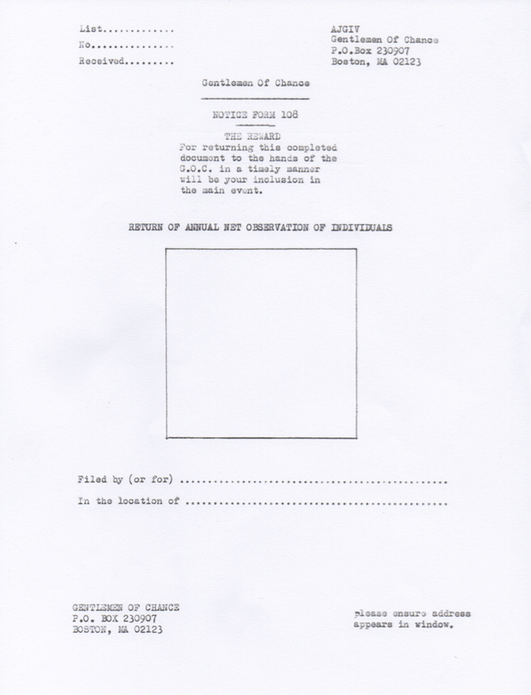 The form is created again in the same format as The Gift, to eventually create an additional large scale type-art image, should the Notices be returned to the artist. Working as an individual and making tenuous contact with public figures through the mail creates both possibility and doubt. During the construction and production of the hand typed letters, questions of value, purpose, relevance and outcomes inevitably surface for me. It is useful to note that the letters themselves may not be read by their recipients, but that it is the act of authoring, drafting, and hand-typing that is the purpose of the work. The enclosed letter mailart sent with each communication is produced through a slow and highly repetitive process. Each impression carries multiple meanings and representation both for the artist and for the work itself. The tedious and repetitive letter writing and mail art production evokes an altered state of presence. Individual squares each consist of 1,390 periods, overtypes or spaced placeholders. 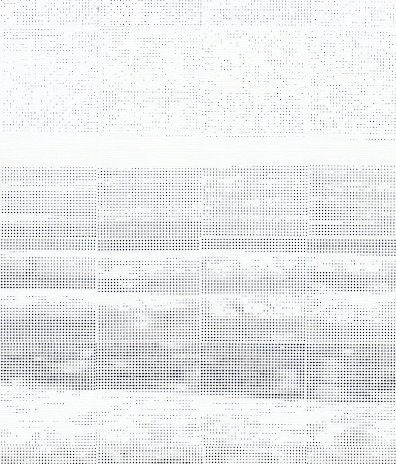 Each square represents the average individual 2015 net worth calculated from the full list of 108 individuals. Each impression, overtype or placeholder is equal to US$1Million. Images with more impressions are mailed to recipients with higher net worth. Ongoing calculations page here. All 108 originals together form one 36-by-36-inch, black-and-white, type-art, pointillist image made up of 150,900 total impressions or spaces. 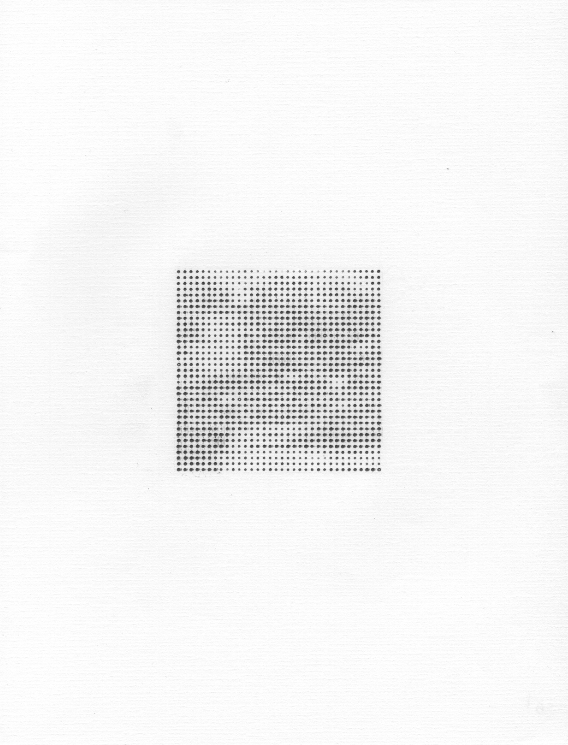 These impressions as actions taken in the creation of the work, represent the total net worth (2015) of the 108 individuals combined (US$1.509 Trillion) with each point, overtype or space representing US$10Million. It is interesting to note that at the U.S. federal minimum wage it would take a worker 66 years and 4 months working full time to earn US$1M, the amount represented by a single point on Gentlemen of Chance individual square. Also intersting to note is that it would tak an individual earning $100,000 per year a hundred years to earn $10,000,000, or one full stop on the larger piece. “Form 108 – Notice” conceptually asks what the original 1040 tax form would look like if it were re-envisioned to accommodate non-governmental, non-financial reporting. The original U.S. 1040 form represents the first time a national income tax was put into place permanently in the U.S. It’s purpose was to tax income on both individuals and corporations. The tax assumes an earner’s responsibility to society in its mandate. With Form 108 – Notice, a question is asked about what other non-tangible responsibilities are present in the amassing of wealth. Only the recipients of the forms will be able to answer these questions. Detail images that will all create a master key image to Gentlemen of Chance. Additional works mailed to other members of the 108 Gentlemen of Chance. Mock up sample of waveforms image created by joining all Gentlemen of Chance images. 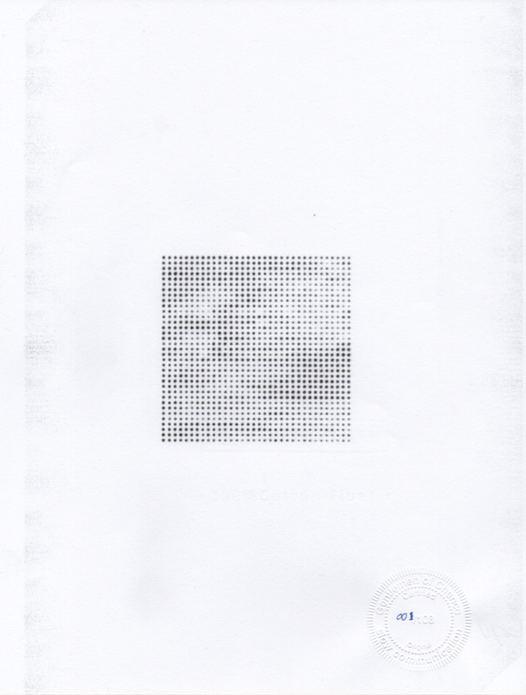 Final litho prints will be created of these 156,000+ impressions to illustrate the inforgraphically, the scope of the net wealth of these 108 individuals. An earlier incarnation of this project featured the ‘Freedom’ typewriter. 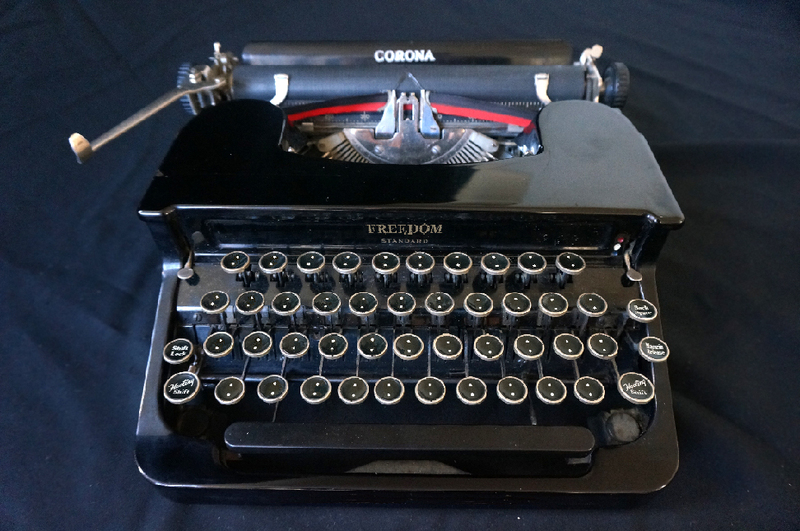 The Freedom typewriter is a 1937 Corona Standard that has had all the keys replaced with the period symbol. It did not produce the suitable line and letter spacing to meet the calculation requirements of “Gentlemen of Chance” and will be used for the forthcoming “Gentlemen of Justice”. Arthur! This is . Let us know your findings? 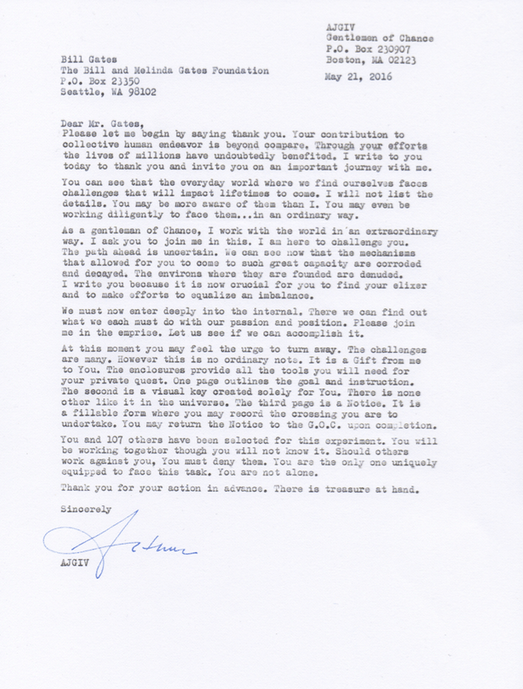 First Gentlemen of Chance reply from the office of the Geffen Foundation. Very friendly and they seem to get the intent.